The pulse water jet can deliver the same performance in submerged conditions as it does in air. Underwater In-situ work may be required for many reasons. The pulse water jet has shown to deliver equivalent performance in submerged conditions as it does in air. This allows the pulse water jet and all its advantages to operate fully under submerged conditions whether in fresh or sea water. 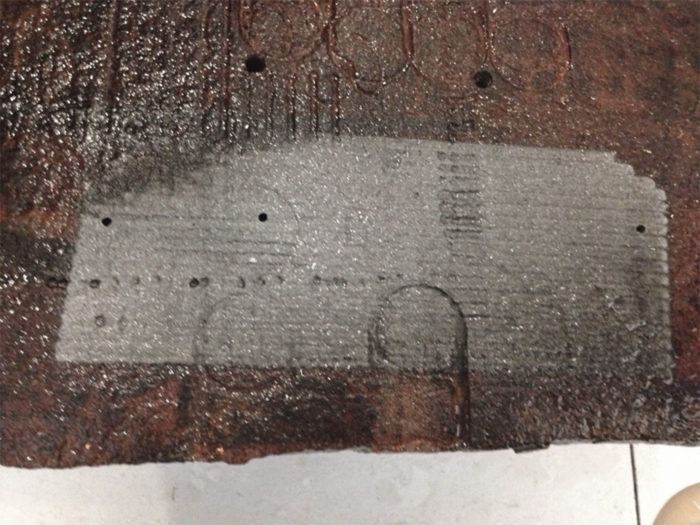 The photo above shows a piece of steel rust that was stripped to the bare white metal finish while under water.